For over half a century, The Michelangelo Gallery has been one of the leaders of Florentine leather and leather crafted products in Piazza Santa Croce. An intense perfume that is unlikely to fade away or be forgotten: it is the smell of the tannery, and of Florentine leather. This is a material, a theme, a world - that in Florence, found an elective homeland. 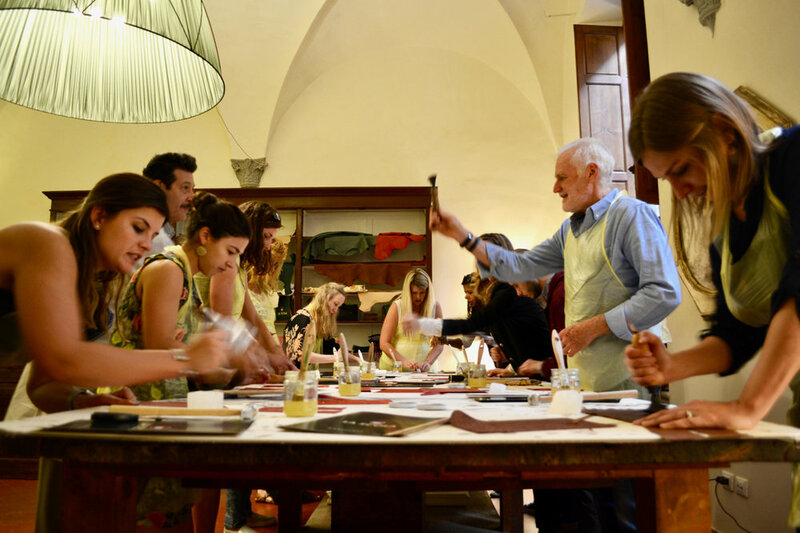 If we can certainly fall in love with the art and the flavors of Florence, we will remain no less fascinated by the creations of the master craftsmen who still work the skin and the leather according to a tradition unique in the world. 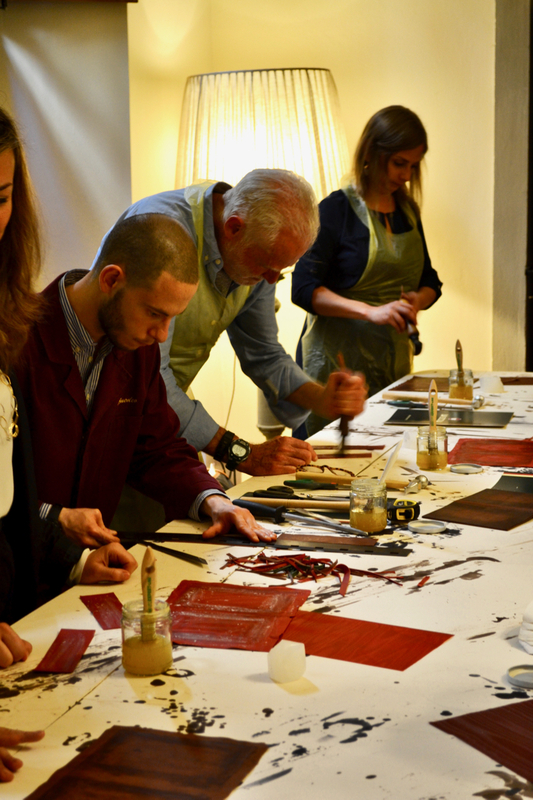 Florence, thus maintains a fervent activity in the tanning and manufacture of leather and leather-based products. It is no coincidence that even today, one of the city’s neighborhoods where leather reigns su- preme is the area of the historic center that stretches from Ponte Vecchio to the Basilica of Santa Croce. The tanning of leather, which is the operation that allows the skin to then be processed, was exercised in the past just upstream and downstream of the bridge, where the hides were soaked in the bed of the Arno river. Only later, due to the strong fumes produced, was the leather processing activity connected to the vicinity of the Santa Croce square. The adjacent “Via delle Conce”, “Street of Tanners” and “Corso dei Tintori” are still here bearing witness to a glorious past. And it is here, in the heart of the Santa Croce neighborhood, where our small workshop lives, sharing with us all the beauty of this craft and trade. 2. Ricucitura tecnica a spaghi e fettucce. 3. Smontaggio telaio. Incollatura del dorso. Tondo garza e capitello. Taglio cartoni e posa dei piatti. 6. Cartellino e titolo in oro. 1. Presentazione del corso e del kit degli attrezzi. Storia del cuoietto fiorentino, taglio dei pezzi. Montaggio in forma. 2. Rifinitura della forma e preparazione della fase successiva. 3. Taglio dei pezzi di rivestimento e scartina. 5. Taglio dell’apertura dell’oggetto e brunitura. 6. Rivestimento interno e rifinitura.